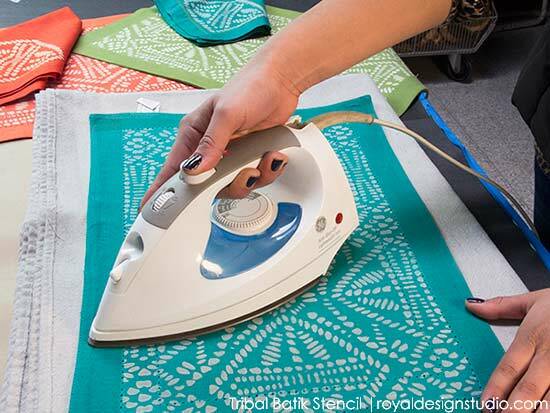 Set a festive table with Batik Tribal place mats stenciled with Jacquard Discharge Paste. 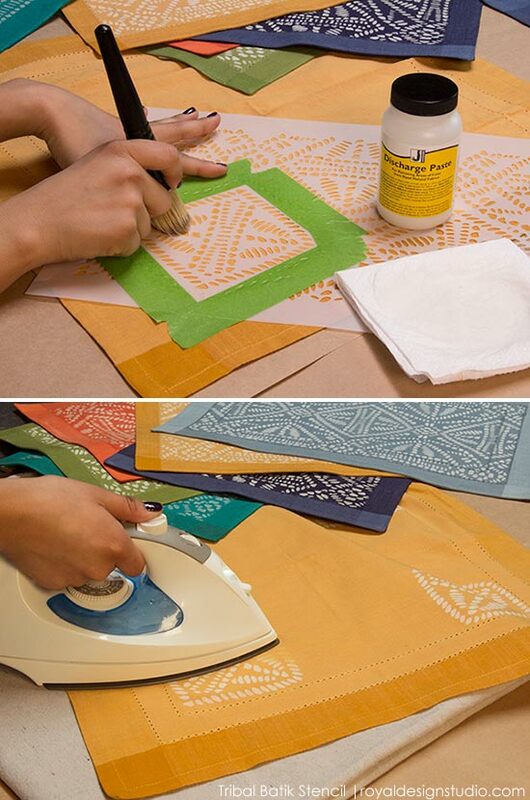 This is SUCH AN EASY and fun technique that you can use on DIY stenciled fabric and clothing projects. 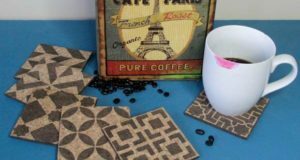 We took some plain place mats and napkins we found at Pier 1 Imports and transformed them with one of our many African Stencils. Read on to see how it’s done! 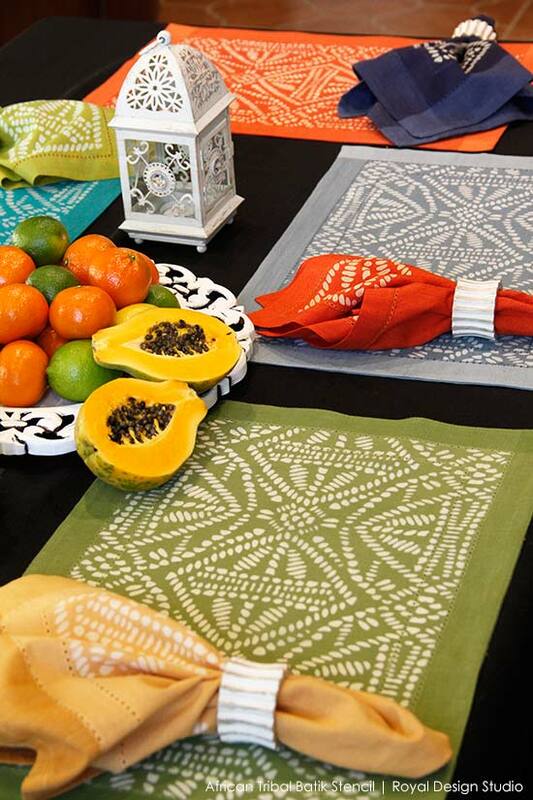 We found these colorful place mats and napkins at Pier 1 Imports and were thrilled to find that our new African Tribal Batik Furniture stencil fit them to a T! Step 1: Tape off around the edge of your place mats along the seam, so that you can stencil just the inside area with Jacquard Discharge Paste. 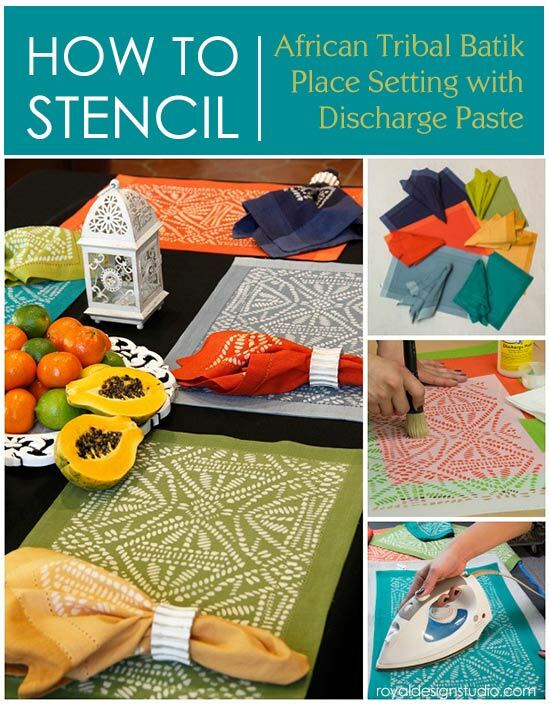 The Discharge Paste can be stenciled just as you would use any other stencil paint medium. 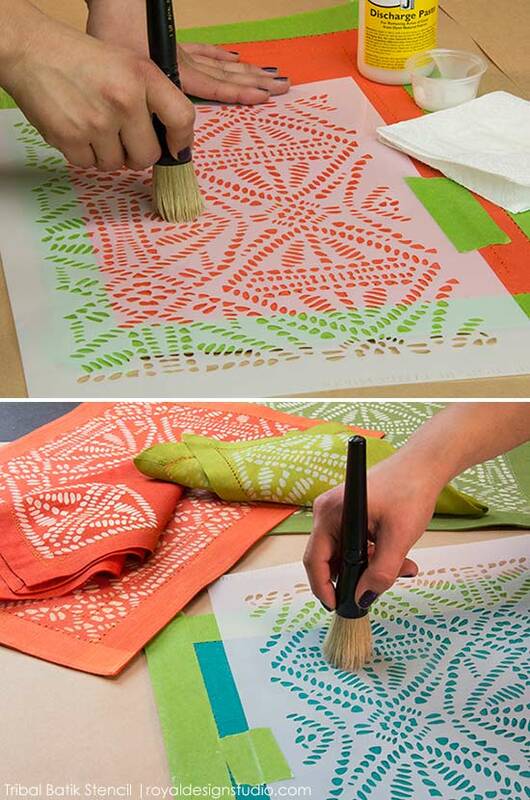 Load just the tips of the stencil brush with Discharge Paste and offload excess paste onto Bounty Paper Towels. 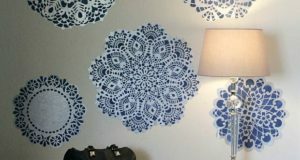 Apply through the stencil with a swirling motion. Go over each area 2-3 times to ensure that you are getting full coverage with the Discharge Paste. Allow the paste to dry completely-about 20 minutes. 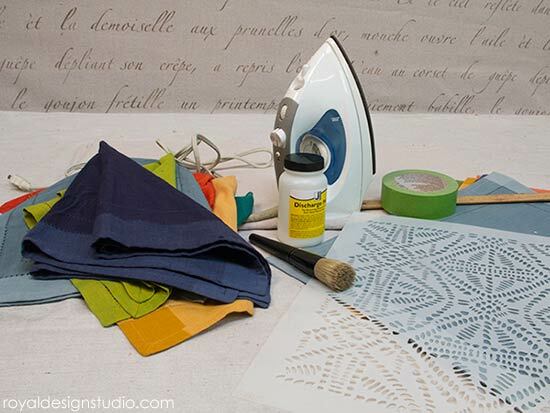 Step 2: After the stenciling has dried, “discharge” the dye from the fabric using a steam iron on the highest possible setting for your fabric. Iron each area until the color removal is complete. Depending on your fabric, this can take up to 10 minutes. The Discharge Paste is ammonia based, and will give off an odor. Always use Discharge Paste with good ventilation and consider wearing an appropriate respirator mask for further protection. 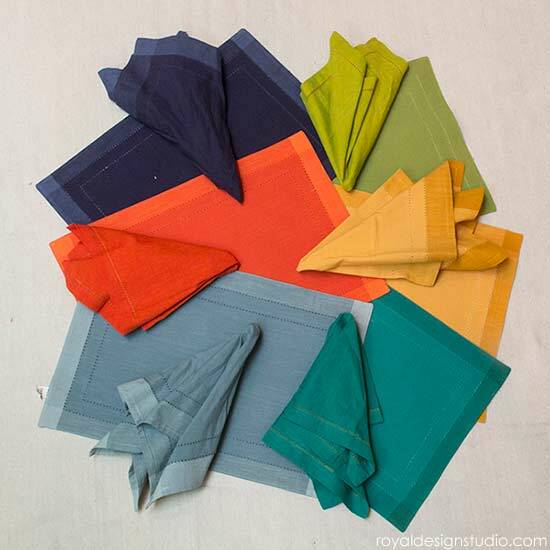 Step 3: To create a coordinating accent on the corners of the napkins, tape off the square portion of the stencil pattern and stencil it in each corner of the napkin. Let dry and steam iron as in Step 2 above. 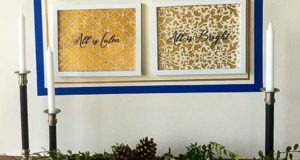 We stenciled six different colors of place mats with coordinating napkins and arranged them here so that the napkin colors provided some contrast to the place mats below. It is important to note that the Jacquard Discharge Paste will react differently with different fabrics, depending on the original fabric color AND the type of commercial dye that was used. Whenever possible, test a small inconspicuous area to see what your final result will be. 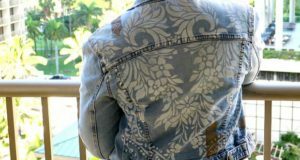 There are NO guarantees with this technique BUT it does open the door to MANY fun possibilities for fabric accessories around the the house as well as stenciled shirts, jeans, and more!